In the last century, every great challenge has had time as co-star, or rather, the measured time. We are talking about events related to history, exploration but also to sport events, more or less famous. The symbol is, and we think always will be, the wristwatch. Today status symbol that conveys our passions and our style, has been for years the faithful companion of adventurers, soldiers and athletes from all over the world. The major brands that we know as now commonly used, as relying on millionaire advertising campaigns and famous testimonials, have had, in the past, a small part in the history of mankind. The Swiss Omega, for example, was the only company that, in 1957, managed to create a watch that would respect the rigid rules imposed by NASA for the creation of a watch for the Apollo astronauts. So it was created the Omega Speedmaster Professional, which was worn by Buzz Aldrin during the Moon landing. The Speedmaster was used by astronauts also in subsequent Gemini and Mercury missions. Another equally famous brand, Breitling, designs and manufactures watches designed for professional pilots as to function, shape and construction. Now anyone can get one, but in 1936 these wristwatches were worn by the pilots of the Royal Air Force and remained there throughout the entire Second World War. Across the ocean, in that same period , Hamilton left the commercial production and completely devoted itself to the creation of watches to for military use. In particular the “Hamilton Marine Chronometer”, distributed in 9,800 pieces to the US Navy before the D-day, is considered today the best watch ever produced in America. Even Rolex, currently trend-setter in the world of luxury sport watches, in 1958, after the acquisition by the Pan-Am Airlines of a Boeing 707 called “Clipper America” (a transatlantic service New York / Paris, ed.) had to handle the first pilots’ jet-leg cases. In-depth studies, pointed out the benefits resulting from the contemporary knowledge of both the local and departure place time. The watch was then equipped by an additional hand that could be set to a different time zone. It was also provided with a ring divided into two colors (black and red, blue and red) to highlight the hours of day and night. Thus was born the GMT-Master Rolex. 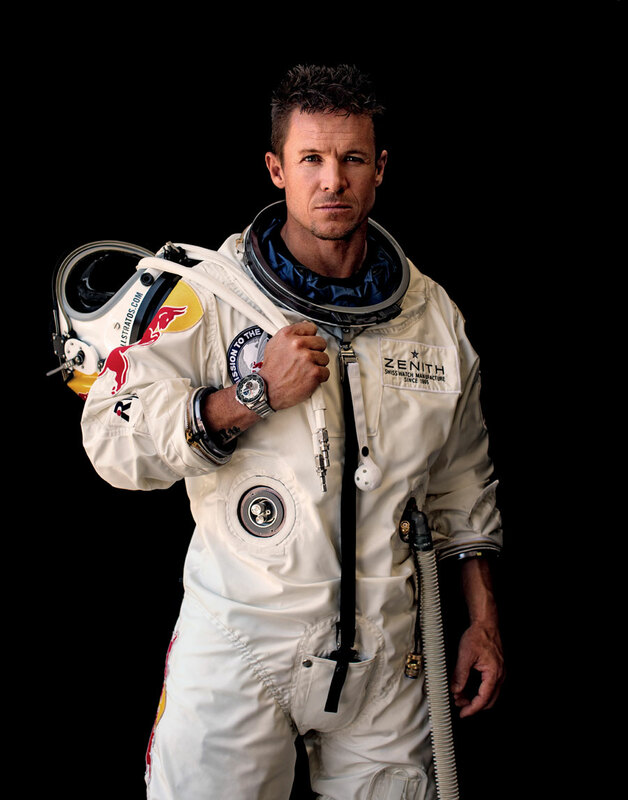 Closer to the present day, on the 14th October 2012, a Zenith watch (El Primero Stratos Flyback Striking 10th) broke the sound barrier on the wrist of Felix Baumgartner, during the Red Bull Stratos event with a flight in free fall which lasted 4 minutes and 20 seconds at the incredible speed of 1137 Km / h.
A time story that continues, every day, on the wrist of each of us.